The Master of Sustainable Development Management, developed and delivered by the Jeffrey Sachs Center, Sunway University, aims to create a new generation of multidisciplinary practitioners adept at management and problem-solving using analytics and systems thinking guided by global concerns. The 18-month program will equip students with the management skills and acumen to create innovative solutions to achieve the Sustainable Development Goals in actionable ways in their specfic sectors or areas of work. It will expose students to the scientific, technological, economic, and business understandings of the challenges to sustainable development, as well as provide them with in-depth knowledge of specific subject areas, such as climate change, urban sustainability, energy, water, infrastructure, biodiversity, land-use, waste management and social innovation and corporate responsibility. Graduates from the Master of Sustainable Development Management are expected to work in public, private, civil society and international organisations at all levels. The Jeffrey Sachs Center on Sustainable Development tackles the sustainability agenda through training, research and policy advisory. As the Southeast Asian base for the United Nations Sustainable Development Solutions Network, the Center is a hub of research and policy practice, delivering world-class programs to train students, practitioners and policy leaders on sustainable initiatives while working in collaboration with industry, government bodies and universities worldwide. The Center was established through a contribution by the Jeffrey Cheah Foundation – the biggest of its kind towards advancing the 17 Sustainable Development Goals. It operates out of Sunway University under the supervision of Professor Jeffrey D. Sachs, one of the world’s leading experts in sustainable development. Sunway University is dedicated to championing sustainability on and around campus, and to nurturing a community of socially and ecologically responsible individuals. The campus is strategically located in Sunway City, Malaysia’s first integrated green township that was transformed from a tin mining wasteland to a sustainability model for other townships nationally and regionally. Sunway University is committed to various activities to achieve its sustainability objectives. 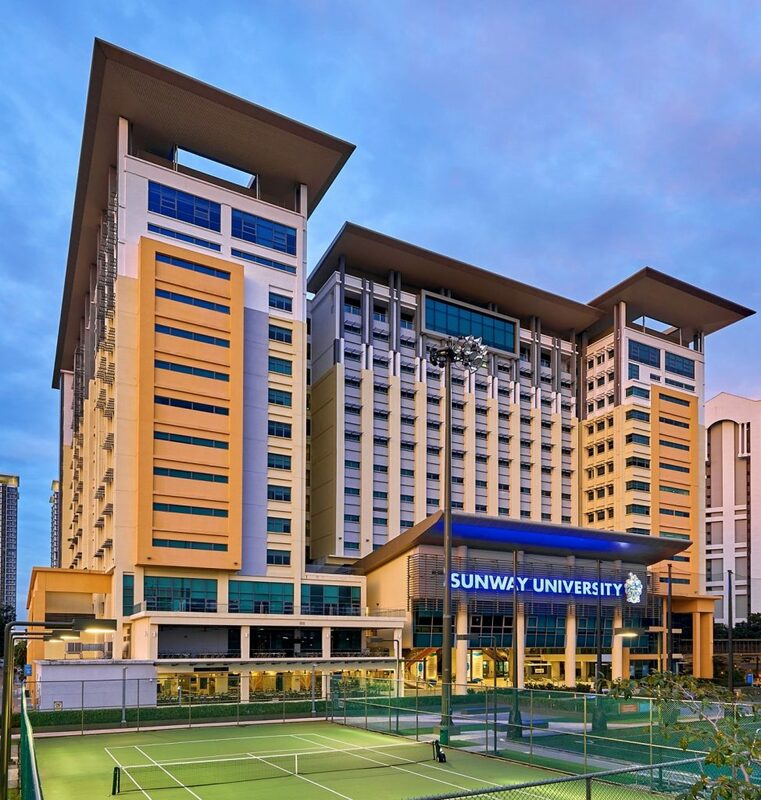 The student experience at Sunway University has many benefits including green spaces and environment-friendly infrastructure such as elevated canopy walkways, convenient public transportation and a bio-diversified theme park.